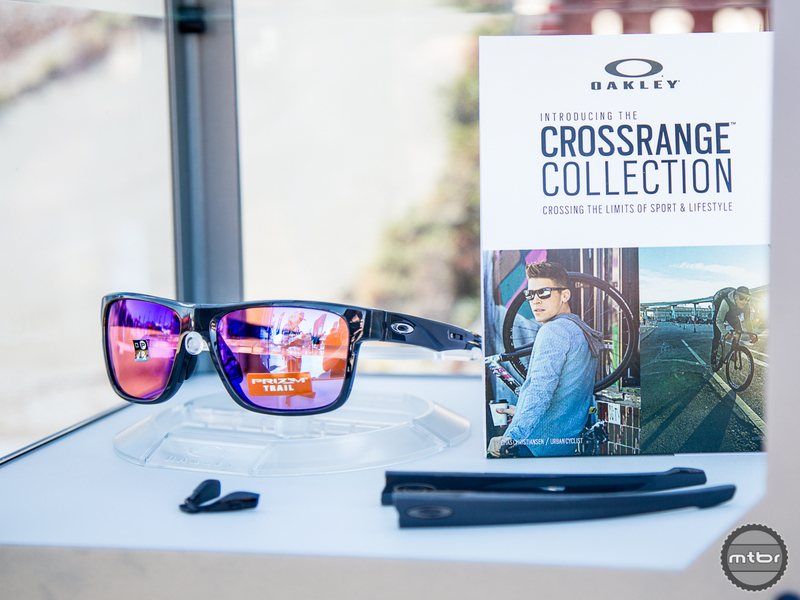 The new Oakley Crossrange collection. Positioned at the crossroads of fashion and performance, the new Crossrange Prizm Trail sunglasses feature the look of lifestyle eyewear with the optics, fit, and minimal weight of high performance eye protection. 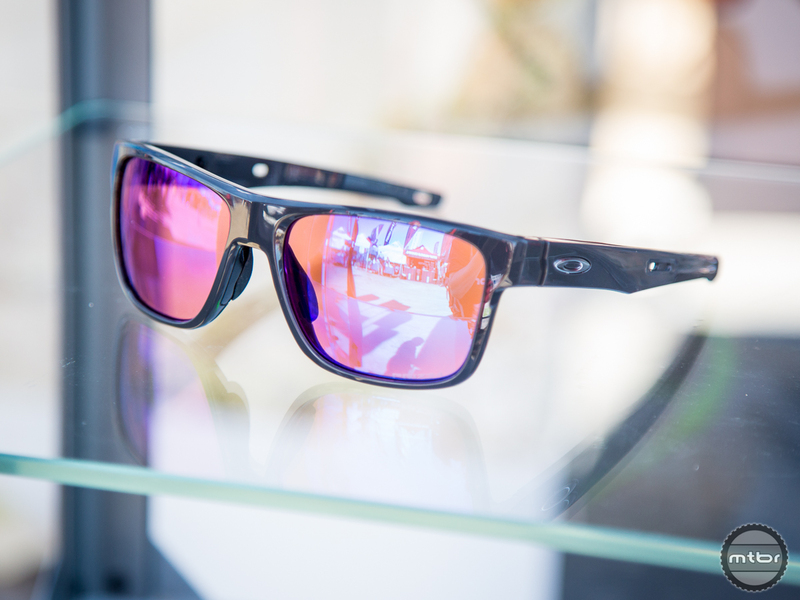 Other features include Prizm optics, which filters color and contrast to enhance visibility. Price is $180. The Crossrange Prizm Trail comes with two sets of ear and nose pieces to customize fit. They’re also extremely light with delivers a barely there feel. They also come with two sets of interchangeable nose pads and ear socks to allow for a more customized fit. 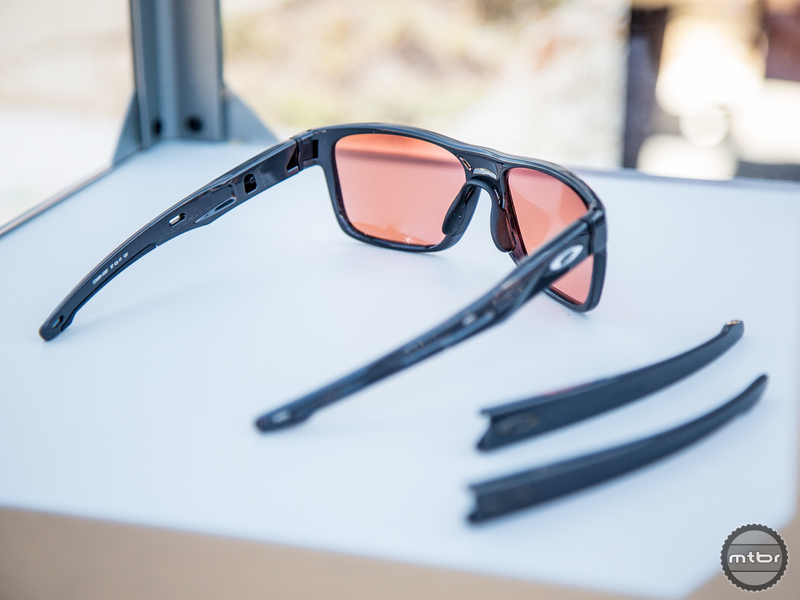 The grips are a no- slip material that’s designed to keep the eyewear from moving around even when plowing through chunder. The three-point fit of the Crossrange Trail is reminiscent of the Jawbreaker, which performs well in holding lenses in place while minimizing pressure points. The Crossrange has the potential to be the only pair of sunglasses you’ll need. Donning the new eyewear, they were extremely comfortable, and look to be an extremely versatile set of sunglasses suitable for everything from commuting to trail riding to daily eyewear, all while leaving the geeky bike guy look behind. 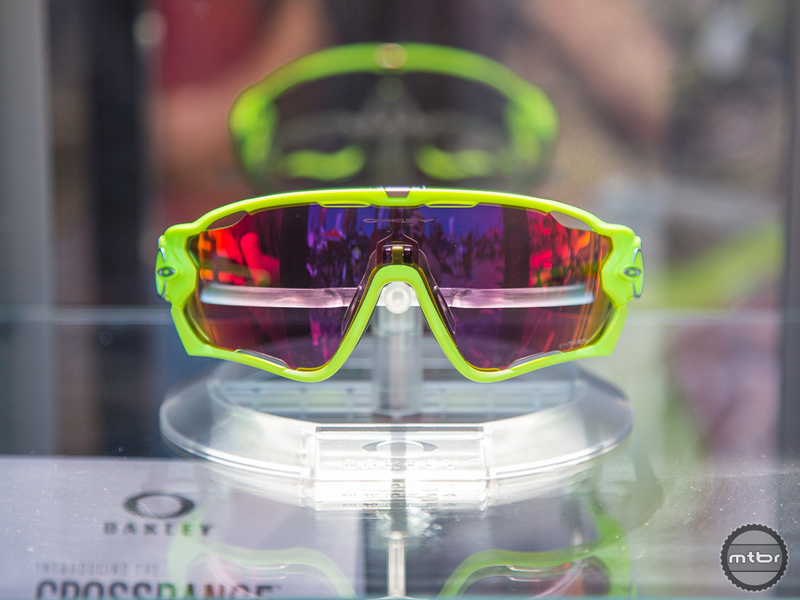 Refinement and subtle iterations continue throughout the rest of the Oakley cycling line, with new colors available for the popular Jawbreaker and EVZero, including the blistering Retina Burn Collection. The popular Jawbreaker is now available with the road Prizm lens for the road and XC crowd in a bright neon colorway dubbed Retina Burn. The Crossrange Prizm Trail feels like a high performance set of eyewear, and includes two sets of ear and nose pieces to customize fit. The popular Jawbreaker is now available (with the road Prizm lens for the roadies and XC crowd) in a bright neon colorway called Retina Burn.